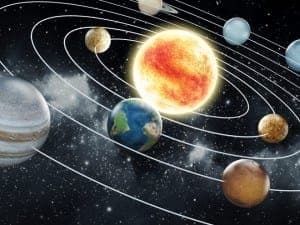 I don’t know about you, but I am SUPER SENSITIVE to a Mercury Retrograde, a time when the planet Mercury slows down and appears to (although it does not) actually move backwards. During the three to four times when this period happens each year, people often experience a range of “retrograding” symptoms. Because the planet Mercury rules communication, people often complain that their technology and relationships are going awry. Cars and appliances are breaking down. People, including yours truly, also often blame Mercury Retrograde for a range of interpersonal communication problems that lead to employees quitting or to long-lasting family feuds. The thing to remember about Mercury Retrograde, however, is that this is all an optical illusion. Literally. Astrologists have described the phenomenon like speeding by a slow-moving train—as it recedes it appears to move backwards. But it isn’t. As we go into our second Mercury Retrograde cycle of 2015 officially on May 18, and we linger here through June 11, many people are reporting that they have already started experiencing big changes—some which can’t quite be articulated but are nevertheless perceived—already. I’m at the top of this list. My body has been in a gigantic retrograde for the last month. I’m too close to the experience to speak intelligently about it yet and harness all of the meaning I know there is to glean (although I suspect in a few weeks I’ll have some perspective). But to sum up, for the last few weeks I have felt like most of my body was moving backwards, and against me. And as I’ve started to talk about the details of my experience with others, while the severity and range of my symptoms are somewhat unique, I’m discovering I’m not alone. When I teach speaking, I always say that our bodies are revealing, moment-to-moment, the answers for how to engage and move an audience to action. When we feel constriction in our chest, it’s our body’s way of saying open the shoulders, drop into the heart, and connect with an audience rather than seek to educate them. Or when we feel a lot of buzzing in our body, we find it hard to hold onto our words, and our body is tipping forward, we want to recognize that that isn’t fear. And rather, it’s our passion asking to be moved forward. And shared. During Mercury Retrograde there are numerous speaking and self-development opportunities—if we just choose to illuminate and lean into them. Now, I may not host a live event during this period again (for last year, during the June retrograde, I showed up to a theatre and learned that EVERY spotlight for my speakers was broken). Yikes! With that said, during these periods our unusual experiences and corresponding communication (from high frustration or exhaustion to miscommunication or anger), often show up to shake us out of our routine. They are there to push us to address the root causes of situations and relationships that have fundamental flaws. Here are some questions to visit (and revisit) during this period. Where am I not being honest with myself? Where am I withholding my truth from the people in my work and home life? How is what is showing up in the way I feel or behave an opportunity to address an unmet need or desire? What might the inconveniences that are emerging be trying to wake me up to? Good questions, if I do say so myself, right? The discomfort and downright pain that crops up during a Mercury Retrograde can happen to us. Or it can happen for us. We make that determination for ourselves. I’ve got A LOT to share with you in the next couple of months. I’ve been baking a lot of yumminess that I can’t wait to serve up this spring and summer. In the meantime, I’d love to hear from YOU. What’s one persnickety communication habit you’re committed to shedding during this Mercury Retrograde? I can’t wait to read your response, and have you read mine, over in my Facebook group.